Woo hoo!! I just got my hands on it and man is it HOT!! Just wanted to say it just bumped the book I was currently reading (The Titan's Curse by Rick Riordan) so I'll probably swallow it up by the weekend...just wanted to share my elation! I'm such a Moron...I meant A PASSION FOR HIM (I tried to fix my topic but couldn't)! I meant A PASSION FOR HIM (I tried to fix my topic but couldn't)! Thank you so much for picking it up! I hope you enjoy it. Woo hoo!! I just got my hands on it and man is it HOT!! ...just wanted to share my elation! brownone, you are SO lucky! I can't wait to get it!! Andrea, I'm already halfway through (I'll have it done by this weekend) but let me tell you, I actually have tears in my eyes during some parts. Its so touching and the passion between Amelia and Colin/Montoya is so hot! The only problem is I keep getting interrupted during the "steamy parts"! I can't tell you how happy your post makes me! ((hugs)) It's always a little rough around release time, wondering if readers will love the characters as much as you do. I'm so glad you're enjoying Colin and Amelia. I have a question about A Passion for Him. I preordered it through Amazon several months ago. I just received notice from Amazon that the shipment date has been moved back. Last spring I preordered Passion for the Game from Barnes & Noble and it shipped early. So my question is ... Does anyone know if the delay is due to Amazon or is it with all the book sellers? I can't wait for this book, and I am disappointed with the delay. Barnes & Noble started shipping A PASSION FOR HIM three weeks ago. (Both BN.com and Books-A-Million start shipping books early as a rule.) Amazon has an odd way of managing their pre-orders that causes frequent delays. So, yes the delay is due to Amazon alone. I've heard in the past that canceling a pre-order and then immediately re-ordering will cause the book to be shipped faster, but I don't know if that works. I've never tried it. It's available in stores in now, though, if that's any help. Thank you for the information. I just recieved a second notice from Amazon that it has shipped and will arrive in 5-7 days. However, I will definitely preorder through bn.com next time. Just wanted to say that I absolutely love your books. Keep up the amazing work!!!! I bought Wish List as an e-book last night and it was fabulous! Just wanted to say that I absolutely love your books. Keep up the amazing work!!!! I bought Wish List as an e-book last night and it was fabulous! Thank you! I'm so happy to hear that you enjoyed WISH LIST. 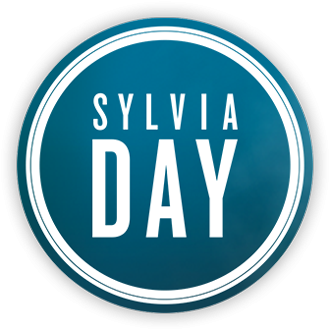 Hey Sylvia I just wanted to let you know that I loved A Passion For Him!! I couldn't put it down! I read it in about 4 hours. I had been anticipating this book ever since I read Passion For The Game. I went straight to Barnes & Noble from work to get it and it wasn't even out on the shelves yet. I got it fresh from the back room. I love the chemistry between Amelia and Colin. I laughed and cried. I didn't want it to end. I can't wait to read Simon's story. March feels like a long time coming. I just finished copy edits on Simon's story, so it's working its way to you, I promise! I hope you like that one, too. I admit, I've got a crush on Simon.